For more enquiries, please call 6733 4188 or email info@msl-orton.com, or fill in the contact form below. Ron Yoshimoto is a master trainer in the OG Approach, having trained thousands of individuals in Hawaii, the continental U.S., Canada and Singapore. He is the former Vice-president and a Fellow of the Academy of Orton-Gillingham Practitioners and Educators. He is also co-president of the Hawaii Branch of the International Dyslexia Association (IDA). He has more than 25 years experience in training teachers/parents and working with dyslexics. He was the Principal of ASSETS School in Honolulu which serves dyslexic, gifted, and gifted-dyslexic children. 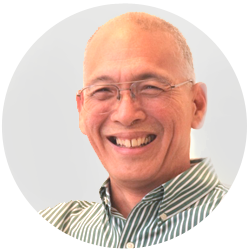 He was a consultant to the Dyslexia Association of Singapore (DAS), and at their invitation, was in Singapore several times to train their teachers and Learning Support Co-ordinators from the Ministry of Education. Ron has presented extensively in dyslexia conferences in the U.S.A and Canada. He has published numerous articles on dyslexia and was interviewed by Channel News Asia on Prime Time Morning for his views on dyslexia in 2007 and 2008. He is the recipient of the prestigious U.S National Blue Ribbon School Award for Excellence.